Todd began his golf career in 1981. After working as a club professional for 15 years, He decided to completely turn his attention to teaching golf, opening Impact Golf in 1998. Scott McCarron, Robert Gamez, Shaun Micheel, Jay Williamson, Steve Jones, Paul Goydos, Stephanie Louden, and Hillary Lunke are among the PGA/LPGA professionals who have worked with Todd. 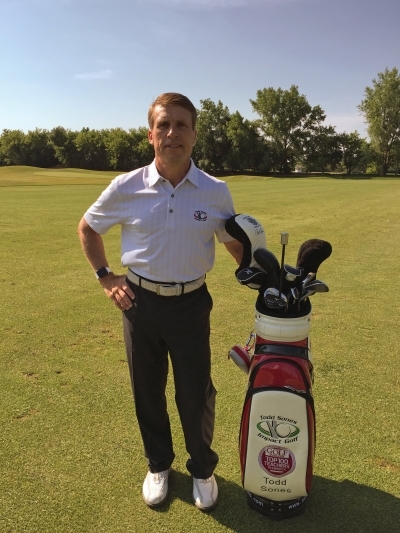 Todd has been voted one of the Top 100 Golf Instructors in America by Golf Magazine since 1995 , as well as one of the 50 Greatest Teachers in America by Golf Digest. He has twice been named Teacher of the Year in the Illinois PGA. Todd has published over 100 articles in major publications, such as Golf Digest and Golf Magazine. Todd has also published two successful books; “Lights Out Putting” and “Saving Par”. Todd developed and patented the Tri-Fit method of fitting putters, which lead to the development of his company, Coutour Golf.